Instance matching targets the extraction, integration and matching of instances referring to the same real-world entity. In this paper we present a weighted ontology-based user profile resolution technique which targets the discovery of multiple online profiles that refer to the same person identity. The elaborate technique takes into account profile similarities at both the syntactic and semantic levels, employing text analytics on top of open data knowledge to improve its performance. A two-staged evaluation of the technique performs various experiments to determine the best out of alternative approaches. These results are then considered in an improved algorithm, which is evaluated by real users, based on their real social network data. Here, a profile matching precision rate of 0.816 is obtained. 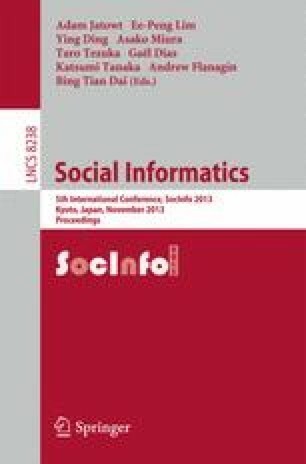 The presented Social Semantic Web technique has a number of useful applications, such as detection of untrusted known persons behind anonymous profiles, and information sharing management across multiple social networks.